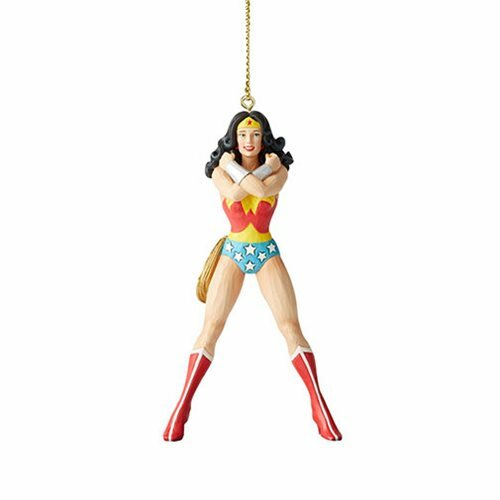 It's a wonder that you don't have this terrific DC Comics Wonder Woman Silver Age Ornament by Jim Shore on your tree already. But fret not. It's not too late. Order now and this Princess Diana decoration measuring about 3 1/2-inches tall and made of polyresin and calcium carbonate can be yours!